I love talking all things beauty and style with women that I find interesting. So, I had a chat with Sky News Sunrise presenter Sarah-Jane Mee about her routine and all of her favourite products, including Murad and Charlotte Tilbury. You get up so early in the morning. Do you manage a daily skincare routine? 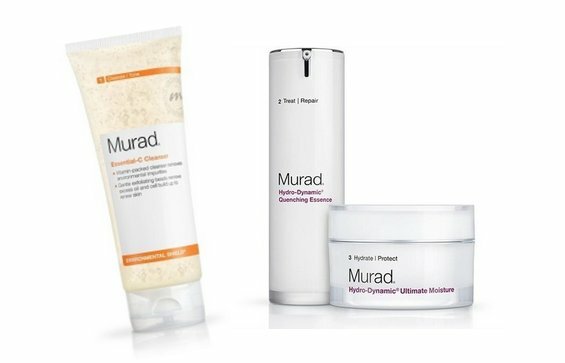 I’m a big fan of Murad and use their Essential C Cleanser every morning, as well as their Hydro-Dynamic® Moisturising Duo – first the Quenching Esssence, then their Ultimate Moisture moisturiser. Early mornings and a lot of caffeine dry out my skin, so I really need the extra moisture boost before heading to the makeup chair at Sky News. How does your skincare routine differ on days that you aren’t working. What do you like to pamper yourself with? It tends to be the same, but I wear much less make up on my days off. I always follow the same cleanse and moisturising routine to keep up the good habit. I might use the Murad Intensive C Radiance Peel too, to get rid of any build up from 4 days of on-screen make up. Also, I’ve just discovered the Charlotte Tilbury Instant Magic Facial Dry Sheet Mask- it takes little time but gives big results. I pop it on before getting ready for a night out to give my skin a lovely glow. 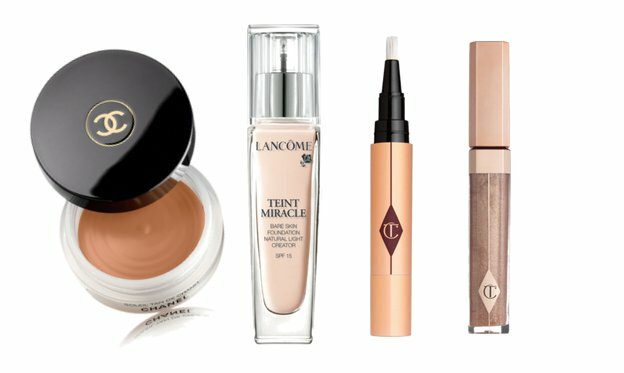 What makeup products do you rely on for flawless on-air skin? I use the Murad Invisiblur Perfecting Shield as a primer, with Lancôme Teint Miracle Foundation on top. It gives great coverage but still makes your face look dewy and natural. Chanel Soleil Tan de Chanel Bronzing Makeup Base is fantastic for giving your face a healthy glow without looking too orange or heavy – something I often have problems with when using powder bronzers. Charlotte Tilbury’s The Retoucher Conceal & Treat Stick is also great for under the eyes as it hides the early starts! What products do you use to take your makeup off at the end of the day? I’ve never found anything as good as Simple Eye Makeup Remover to get even the heaviest of eye makeup off – it’s such a great product. If I’m in a rush, I just use Murad’s Essential C Cleanser to wash off my make up. However, if I have a bit more time, I love using Liz Earle’s Cleanse & Polish Hot Cloth Cleanser with a warm muslin cloth. I can’t leave the house without 4 items – the They’re Real Mascara from Benefit Cosmetics, an Eyeko waterproof eyeliner, Charlotte Tilbury’s Airbrush Flawless Finish Powder, and the Charlotte Tilbury Lip Lustre lipgloss in the shade Ibiza Nights.